Mathcad is project software of American PTC Company.As the global standard of engineering calculation, the difference between Mathcad with special calculation tools and computation sheet is that Mathcad allow engineers use detailed application mathematical functions and dynamic and perceived unit calculation to record and design the engineering calculation. The unique visual format and note interface can focus intuitive normative mathematical symbols, text and graph on a worksheet.Mathcad adopt the way that close to write on the blackboard for the users to statements required by the solution of the problem and the calculation result returned by the underlying calculation engine and displayed on the screen. The calculation process approximate transparent, and the user could focus thinking rather than tedious to solve the step problem. Mathcad is an interactive numerical computing system, when you input a mathematical formula, equations, matrix, etc., the computer will give a direct result of the calculation, and do not need to consider the intermediate calculation process. MathCad in many areas of science and technology is responsible for the complex mathematical calculations, graphics display and document processing. It is a rare powerful tool for engineering technicians. Mathcad has five extensions, namely solving and optimization, data analysis, signal processing, image processing and wavelet analysis. 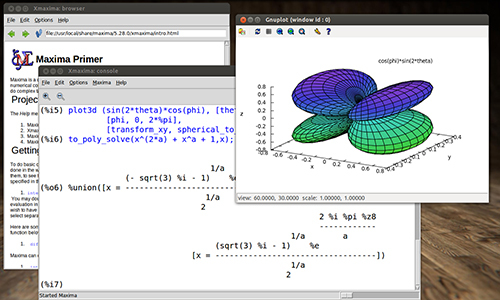 After 20 years of development, Mathcad developing from early simple limited function to current algebra, linear and nonlinear equations are solved with optimization, ordinary differential equations, partial differential equations, statistical, financial, signal processing, image processing and so on. MathCad provide a rich interface to invoke third-party software function to expand their own and use other software extensions. Mathcad bring program design, calculation, display, document records together. Algebraic operations, linear algebra, calculus, symbolic computation, 2D and 3D graphics, animation, function, programming, logic operations, variables and the definition and calculation of the unit, etc..
Mathcad prime 3.0 is the latest version, support 9 languages: English, German, French, Italian, Spanish, Japanese, simplified Chinese,traditional Chinese and Korean. The design objectives of Creo is to solve customers the most pressing need for engineering calculations, as well as to improve the entire product development process in the calculation of records. Experimental design (DoE) provides more than 25 new functions, they interact through the understanding of the variables that affect the experiment, with the help of DoE to reduce the time and cost of the experiment. DoE helps identify key factors and best settings for complex processes. It provides a template for smaller but more intelligent experiments; these templates are essential if there are multiple variables and levels. A quick view of Roark and Hick provide much trust in a reference book by Knovel, a complete record of all Mathcad work table, to solve complex mathematical problems so as to shorten the time required. Using Truenumber, you can easily transfer values between applications and organizations, and will not lose the number or unit integrity. The results can be remitted and the value from Mathcad for different types of documents, so that it can easily share data. Using the following functions of Excel 2007: READEXCEL, WRITEEXCEL, READFILE, Data Import Wizard and Excel entry. 7. MathCAD follows the XML international standard, and uses the MathML file format to store the file. This allows you to easily access the MathCAD files in the local network or Internet, and be able to seamlessly move between Extranet and Intranet.